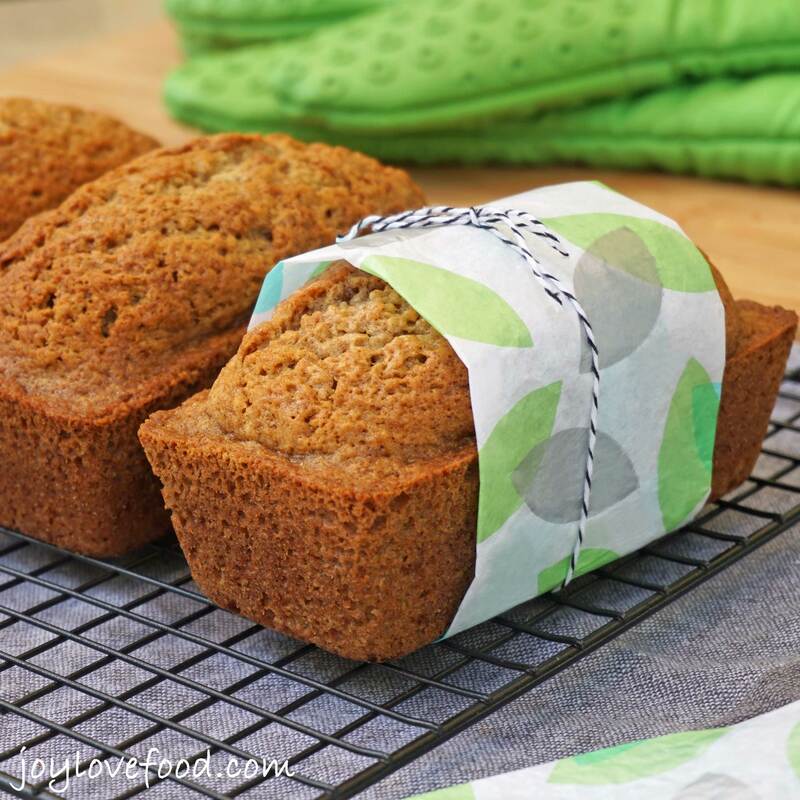 Spiced Zucchini Bread Mini Loaves – a slice or two of these delicious, subtly spiced, little loaves is the perfect summertime treat. I am so happy that zucchini season has arrived here in New England. I love zucchini in all sort of preparations — grilled, in salads, in egg dishes and, of course, in zucchini bread. Everyone in my family loves zucchini bread, especially my 7-year old son. A couple of months ago, my son’s allergy doctor recommended that my son eat a baked good, containing eggs, everyday for 6 months. 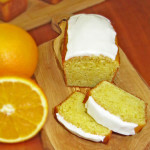 You can read more about why he recommended this in my post for Lemon Buttermilk Mini Loaves, the gist of it being that I now have a great excuse to do a lot of baking, with my son’s preferences in mind. One of the first things my son requested that I bake was zucchini bread. I’m delighted that we now have fresh zucchini available locally to make these delicious Spiced Zucchini Bread Mini Loaves. 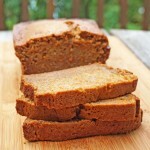 I have made a number of different recipes for zucchini bread over the years, all of which typically include cinnamon. This time I wanted to add some additional spices, similar to those in my Spiced Pumpkin Mini Muffins, which are another of my son’s favorites. Thus in addition to cinnamon, I added nutmeg and cloves. The resulting Spiced Zucchini Bread Mini Loaves, smell so good and taste delicious. The spices definitely come through, but in a nice subtle way and complement the zucchini beautifully. Both my son and my husband declared that this was the best zucchini bread I have ever made. So, this will definitely now be my go-to zucchini bread recipe. This recipe can be used to make either two 9×5-inch regular size loaves or five 5 3/4 x 3-inch mini loaves. I decided to make mini loaves, because I find mini loaves so cute and I love using my Wilton Mini Loaf Pans (affiliate link). Zucchini bread goes fast at my house. But, if for some reason we weren’t able to eat all of it soon enough, I find that it is easier to find room in my freezer for a couple of mini loaves, than it is to find room for a regular size loaf. Mini loaves are also great for gift giving. These Spiced Zucchini Bread Mini Loaves would make great hostess gifts for summer parties, they would also be nice favors to give guests at the end of a dinner party. One of my favorite gifts to give is a pretty gift bag containing a mini loaf or two and a jar of jam, either homemade or from a farmer’s market. A slice or two of these delicious Spiced Zucchini Bread Mini Loaves is wonderful at breakfast along with a cup of coffee. This fragrant zucchini bread also makes a great afternoon snack with a tall glass of iced-tea or lemonade. Does your family have a favorite way to enjoy zucchini? Let me know in the comments below! 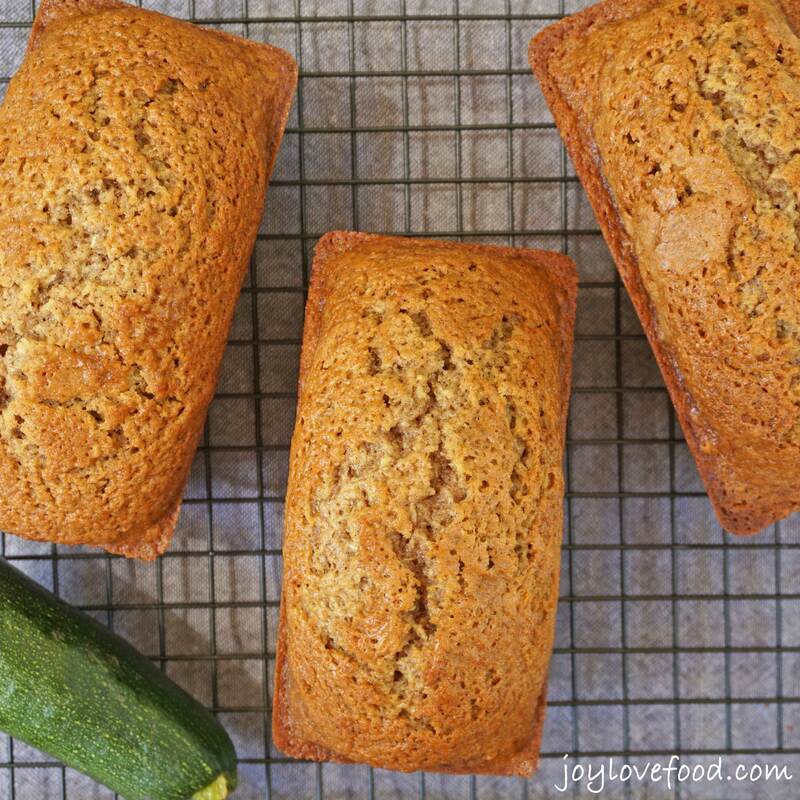 Spiced Zucchini Bread Mini Loaves - a slice or two of these delicious, subtly spiced, little loaves is the perfect summertime treat. Add in the zucchini and stir to combine. In another large bowl, whisk together flour, cinnamon, nutmeg, cloves, baking soda, baking powder and salt. Stir flour mixture into zucchini mixture in 2 or 3 additions until just combined. Spoon batter evenly into mini loaf pans, filling about 3/4 of the way to the top of each pan. Bake in preheated oven for 35 – 40 minutes or until a toothpick inserted into the middle of a loaf comes out clean. About 2 – 2 ½ medium size zucchini yields 2 cups grated zucchini. I remove the peel from the zucchini as my kids prefer it this way, but you can leave the skins on as long as they are tender. I use my food processor, fitted with the metal blade, to grate the zucchini. You can also use this recipe to make two 9 x5-inch loaves, increase the baking time to about 50 minutes – 1 hour or until a tester inserted into the middle of a loaf comes out clean. This entry was posted in Breads, Muffins & Scones, Breakfast & Brunch and tagged bread, cinnamon, cloves, loaf, loaves, mini, nutmeg, recipe, spiced, summer, zucchini. This is my go to recipe for all the zucchini that takes over my garden. 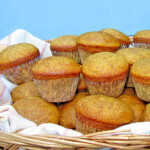 Does anyone know what the conversation be to make these into muffins? try half carrot half zucchini, and I mix fresh blueberries into the mixture, they pop in loaf when it bakes. then coat the loaves in orange cream cheese frosting. Scott H.
I have everything on hand except for the ground cloves. Is it ok to leave it out or can I substitute ground allspice? Hi Patty, allspice would be a great substitute for the cloves, hope you give it a try and enjoy! What a awesome recipe i made it and they are delicious they were a big hit here in the house with my family.i reduced the sugar by half they were so good. Hi, I’m so glad you and your family enjoyed this recipe, I too often reduce the sugar and it is indeed still good! Thanks Elaine, I love zucchini season! We always have so much zucchini from our garden and this is the only way my hubby will eat it. Looks great! I made this recipe the other day because I have so much zucchini from the garden this year. It tastes absolutely perfect and even my (incredibly picky) toddler loved it! Thank you! Hi Aimee, I’m delighted to hear that you gave this a try and that your toddler enjoyed it! What a great recipe! Thank you so much for linking up to Merry Monday this week! I am sharing your post today on my FB Page! We hope to see you next week for another great party! Have a great week! I love zucchini bread. My step-mom used to make it in tin cans so that it would be round. Then she wrapped it in a pretty, decorated plastic gift bag and tied it with some curling ribbon. Now, I want to go make some. I’ll have to go to town for zucchini, first, though. Too cute! I love these for teachers gifts! 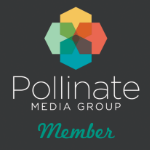 Plus I love your new logo! Hi Joy!! I love this and will be featuring you tomorrow!! Thanks for linking up on My 2 Favorite Things on Thursday Link Party!! Hope to see you again tomorrow!! Love partying with you!! Pinned! Elaine recently posted…Super Quick and Super Easy Peanut Butter and Chocolate Chip Dessert! I love zucchini bread and I think we use the same recipe! Thanks so much for stopping by!! Debbie-Dabble recently posted…Fall and Halloween Buys!! 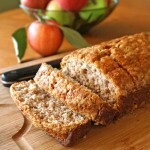 Zucchini bread is one of my favorites, your recipe looks amazing! I’ve got a ton of zucchini in my garden right now. This looks delicious! These mini zucchini loaves are just so cute! I love the extra spices you’ve added in. I will definitely have to give this a try. Thanks for sharing! 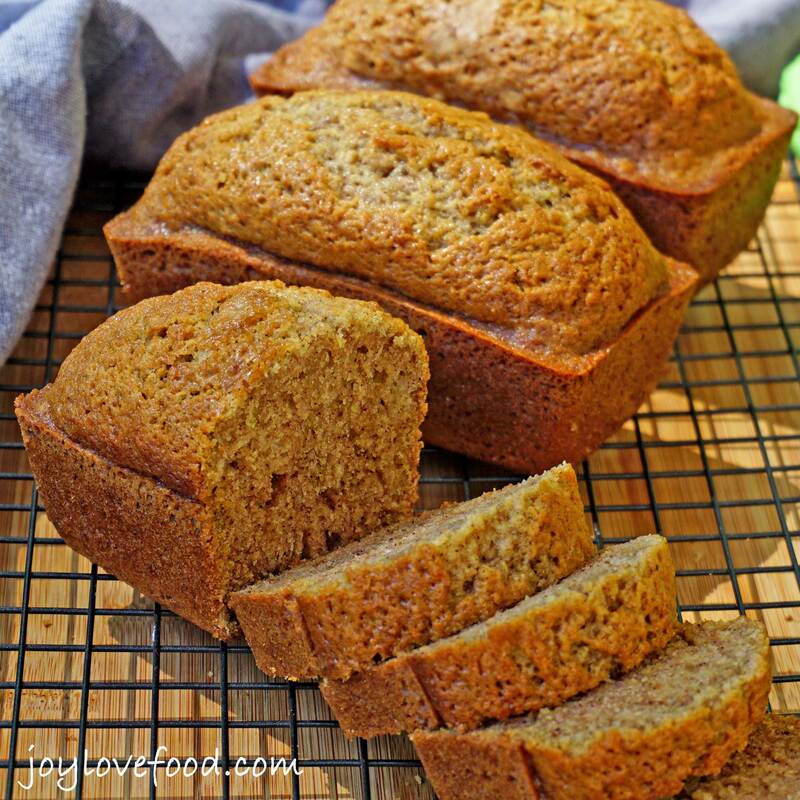 It is amazing how great zucchini is in baking and i love baking with it too! 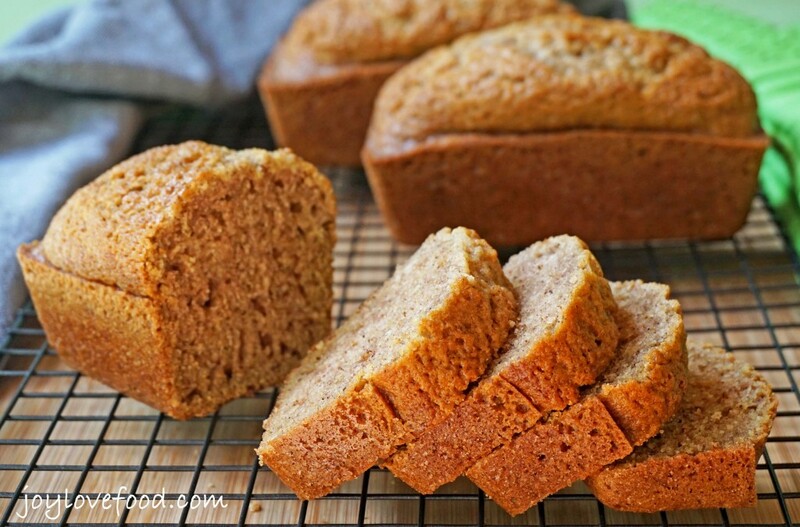 These spiced breads look so moist and fluffy! These are wonderful, mini loves are fun. Plus the “hidden” zucchini is a great way to sneak in veg to my daughter. I haven’t made a zucchini bread in a long time. Your spiced version sounds like a nice twist. Thanks for sharing your recipe. Zucchini Bread is beloved in this house, too. I love all the spices that you added and can’t wait to try! Love the wrapping detail. Stopping by from the Friday hop, come say hi! You make some amazing bread! These zucchini bread looks so delicious. These are so cute and definitely healthy. Thanks for sharing. This zucchini bread looks absolutely perfect! And these mini loaves are so adorable! Pinning! Diane Weeks recently posted…Re “Vase” alized! What a great way to use up all of that summer zucchini! Looks so good! Homemade bread is the best! These pictures are beautiful!!!! 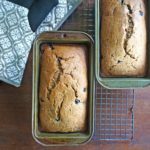 These loaves look so moist and delicious – I want them now with my coffee! The loaves look moist & tender and a delicious perfect bite. Cup of coffee and a book and I will be set! 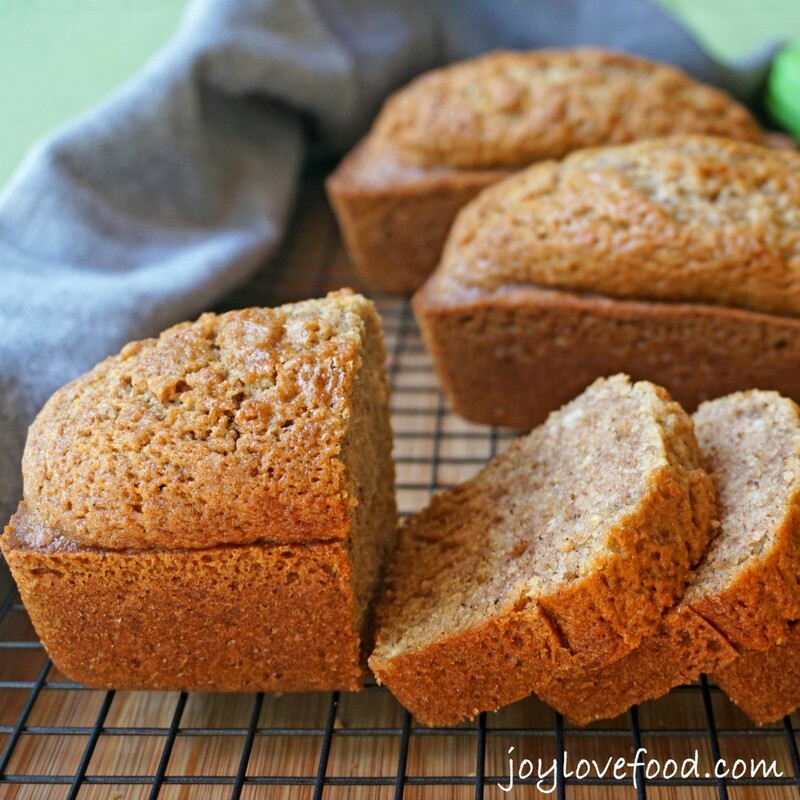 These loaves are too perfect looking and I love the spice blend – a perfect summer/fall blend! Pinned! 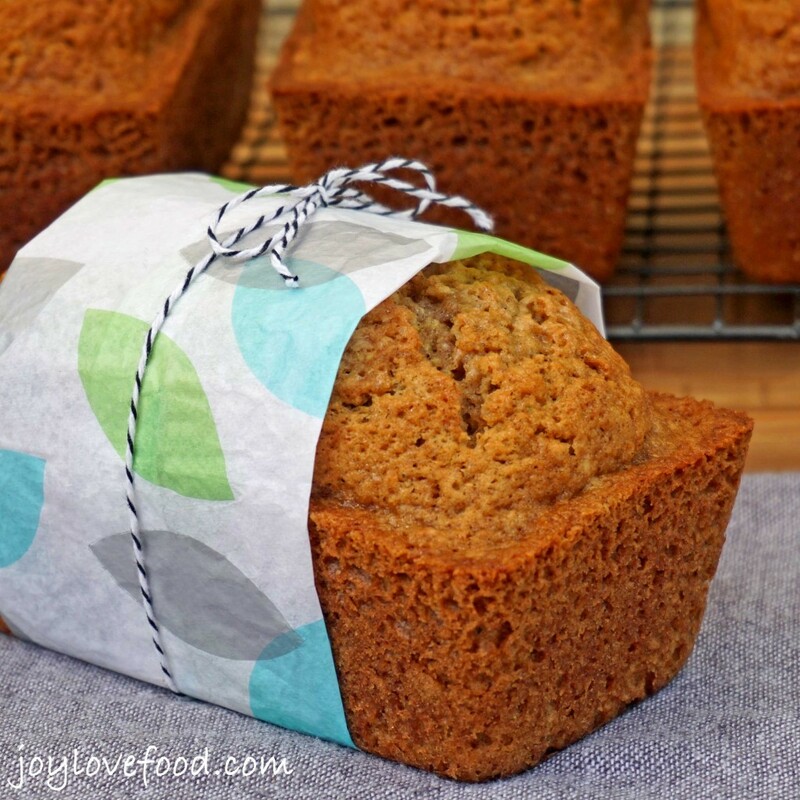 Joy, this bread does look moist and delicious and a great way to use up all the extra summer zucchini. Adorable mini-sized! Zucchini bread is essential! I have to research an alternative to zucchini! I dont think they have that here. Is courgette an okay replacement? Love the packaging! Hi Merlinda, you could absolutely use courgettes in this, hope you give it a try and enjoy! Hi Joy, these are tempting me to find some zucchini and make bread, I have been more into cookies lately. Thanks for sharing on Oh My Heartsie Girl WW, you always bring flavorful recipes. These little loaves are perfect for sharing! I slice would be perfect with a cup of tea right now! I can just imagine how wonderful these smell while baking! The mini loaves are so cute! 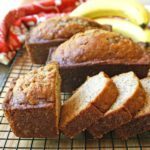 I love the idea of adding the extra spice to the zucchini bread. I am still jealous of your baked good prescription! I am glad it seems to be going well! 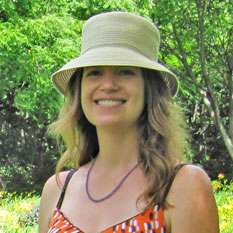 Joyce recently posted…#WW Bathroom Doors: Are You an Egg or a Sausage? Thanks Joyce, it is really good! Thanks for coming by Liz!